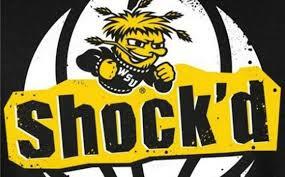 The first half against Wichita State was wonderfully entertaining, with neither team able to do much to slow down the other; the Shockers finished the half with a flurry to tie it at 47 on a last-second tip-in. Now, here’s the thing: if they hadn’t been so obviously bigger and stronger than the Ravens, the American lads might have been expecting to read something like this, only in reverse: The underdog visitors hung tough for a half, fuelled by pride and adrenaline, but the superior defence, dominant rebounding and offensive explosiveness of the hometown Ravens – especially from three-point land – began to tell in the second. Before the 3rd quarter buzzer, the rout was on, as the six-time CIS champions shocked (I know, I couldn’t resist) travelling Wichita State faithful with a 15-point cushion – which would have been more but for a quarter-ending three-point prayer. The gap only grew as the inevitable Carleton victory ensued, with a 100-75 final score. Sophomore Marcus Anderson sails in for a freebie. The rout was on. Empty seats? It wasn’t from leaving early to beat traffic. And those CIS banners — that’s where the real crowding is. There were details, and you can read them in the Wichita Eagle. Tellingly, neither of Ottawa’s two major newspapers appear to have even reported the game, but the Ravens athletic department summary was actually quite good. 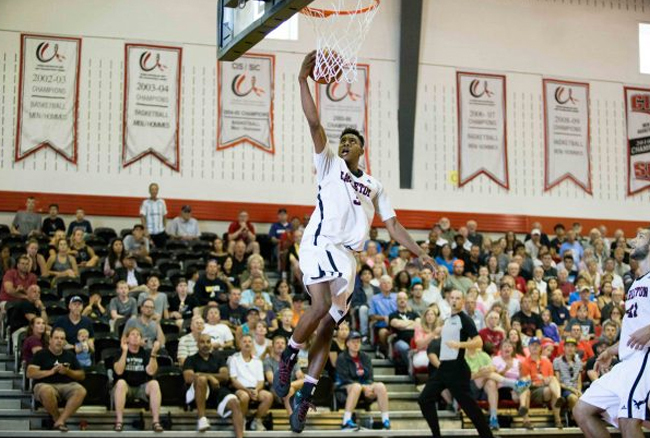 So while this might have been startling to the average American college basketball fan, those in the know are well aware – there’s something brewing up there in whatever the Washington DC of Canada is. Those boys can PLAY. (Ask at Wisconsin: I was impressed by the grace and humility of the Badgers and coach Bo Ryan, who lost to the Ravens in August 2013, the summer prior to their run to the NCAA National Championship game in 2014. Ryan credited the experience in Canada with being formative in their superb season.) I’ve been writing Raven-ishly for over a decade now, so yes, it’s getting to be routine, but I still marvel at it, just as I shake my head that only about 1000 people showed up to watch. Two predictions: This team will go 5-0 6-0 (another game, against Morgan State, has been added to the sched) over NCAA teams this summer, the like of which has never been seen and rarely imagined. Ridiculous. And they WILL win their – ready? – seventh straight CIS championship, and their 13th in 15 years. And hardly anybody will notice.